Since others may be dealing with the same or a similar situation, I thought I’d share my reply here — along with more details that could be helpful to other dog owners. You’re right, I don’t think chewing bark would be very good for your dog. Especially since some types of bark are poisonous to dogs. While we’re speaking of things out in the garden that could be harmful to dogs, it’s important to note that some types of mulch are poisonous to dogs as well. #1 – Have you (or is there any way possible to) put up a barrier between the garden and the rest of the yard? Perhaps your dog will test barriers too. 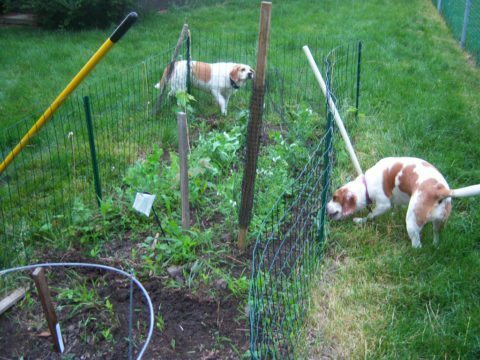 But I know that a low wire garden fence (2.5 ft tall) worked well for us one time. You can buy it in 3-foot wide pieces at any home improvement store. I got mine at Big Lots. It kept my dog out of our backyard garden area — most of the time. 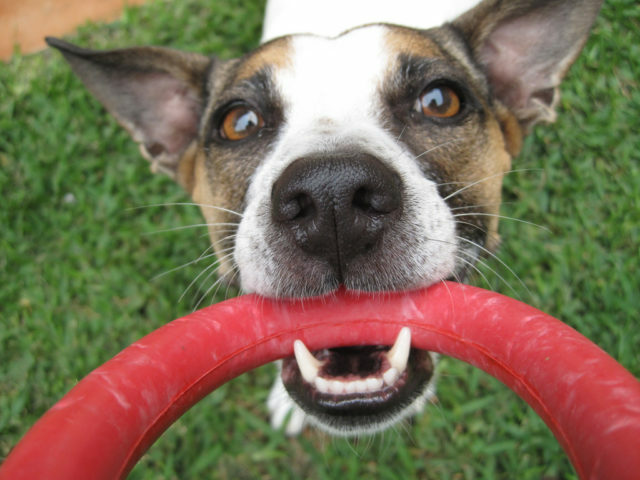 #2 – Do you let your dog play with outdoor-quality chew toys whenever she’s outside? If you did, it might give your dog more choices of things to chew on while she’s spending time outside. If it were me, I would probably litter the yard with dog rope toys, frisbees, balls, bones, etc. I even let my dog play with old soccer balls, basketballs, and softballs in the yard. #3 – Perhaps your dog is just bored and needs to burn off more energy. 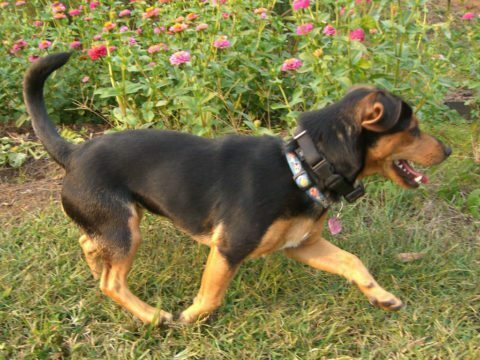 An walk at the park or through the neighborhood might help — especially if your dog doesn’t typically go on many walks. I know that my dog is much more relaxed after a walk. Intense activity with your dog — like repeated Frisbee catching or ball retrieving — would help too. 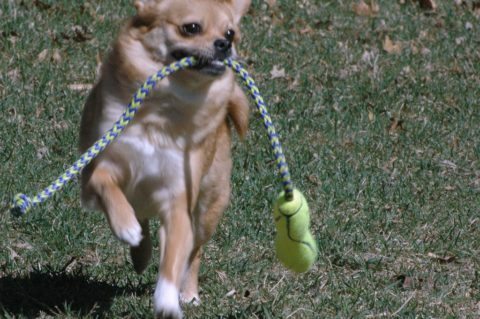 One thing I found recently that wears my dog out in our own backyard is a handheld tennis ball thrower. My dog is normally not very interested in toys, but he’s completely addicted to running hard to catch the tennis ball every time I toss it from this launcher. And he never tires of bringing it back to me. The best part: he’s wiped out by the time he gets back in the house. We got the Kong one (Kong Rocket Dog Toy), but there are several others. 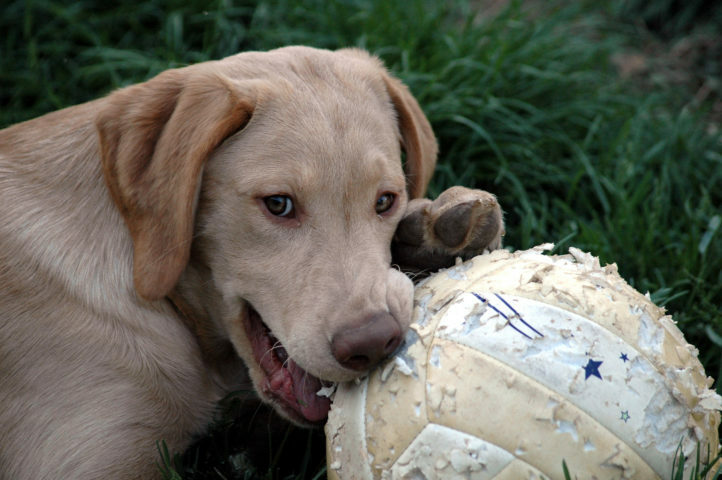 #4 – There are lots of so-called indestructible dog toys (including balls, tugs, and chew toys). A few of them may be worth trying to keep your dog from chewing things in the backyard. For serious chewers, I can personally vouch for most of the ones on this list — especially the GoughNuts dog chew toy and the black Kong is really great. In addition, while I haven’t tried these, they sound pretty good too: RuffDawg toys. 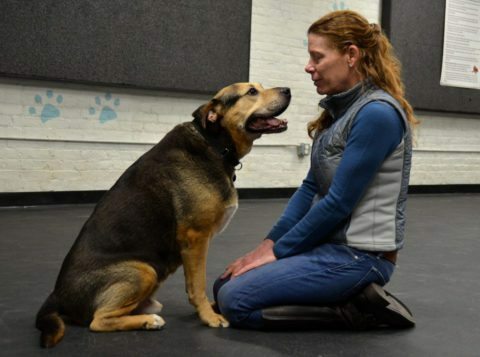 #5 – Finally, some dog behaviors simply require a little bit of one-on-one time with a professional dog trainer in order to get better. 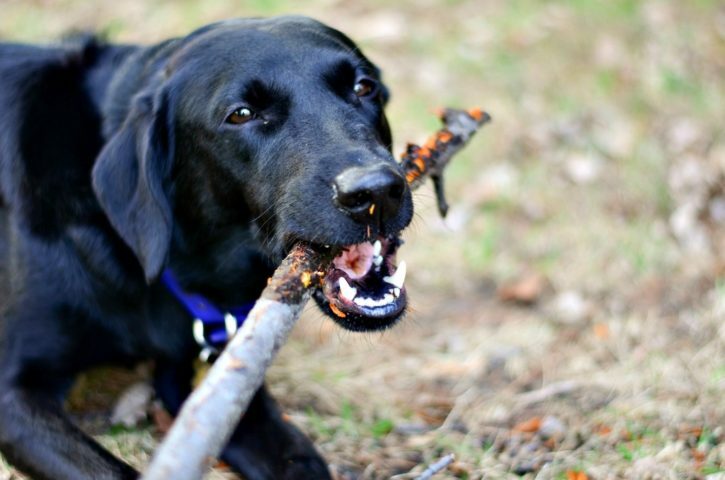 The underlying goal, of course, is to get your dog to respect “NO” — specifically when she’s chewing bark (or whatever else you don’t want her chewing on outdoors). Beyond that, your dog must always be supervised when outside (at least until it sinks in and/or she can be trusted).